So spring’s coming up pretty fast, which means you’ve gotta be prepped with some awesome homemade scents. Alright, you don’t really, but these are so much fun to make and smell amazing. And even if it’s not so close to spring by the time you’re reading this, they’re still great recipes to make your home smell fresh. 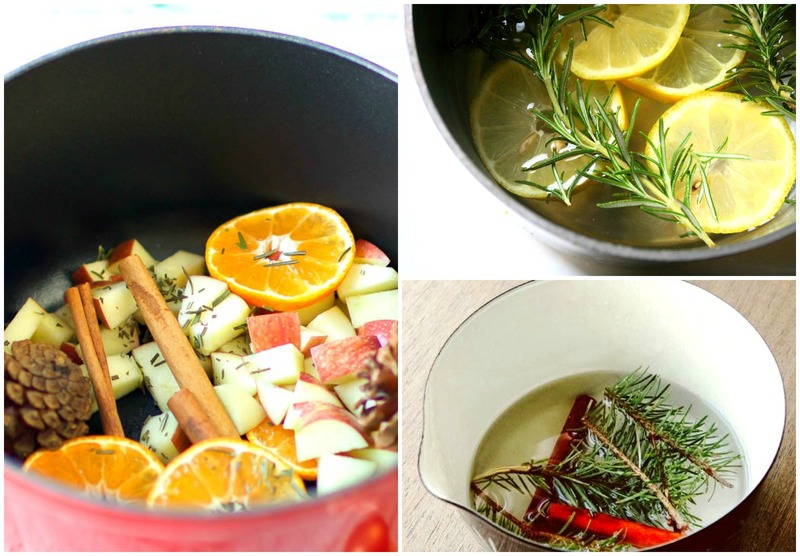 And down below I founds some awesome homemade scent recipes from creative bloggers. So feel free to check them out and let me know what you think! Lemon and rosemary are so wonderfully aromatic. No doubt they’ll fill up your home with refreshing scents. The orange reminds me a lot of the awesome scent of orange blossoms that bloom during spring. And the pine cones definitely remind me of taking a hike in the forest when the weather got warmer. These two will definitely make your home smell like spring (other ingredients are optional)! Similar to the first one, this recipe has vanilla in it. So if you want that fresh and delicious vanilla bean scent, then definitely try this. Adding some essential oils to your scent recipe can definitely be good for your physical and mental health. With a lot going into this one, you’ll definitely have an awesome smell wafting throughout your house! Lime and mint are a great way to freshen things up and make your place feel more awake after a long winter. I love this DIY idea of using fruit rinds as air fresheners. They’re so creative and make for super cute centerpieces. All of these recipes are super easy to make. In fact, you might just have the ingredients in your home right now (or backyard). Also, it’s not too much effort; all you have to do is heat up some water over the stove and let the natural ingredients simmer on low and fill up your home with amazing smells. Now if you have any questions about these recipes, let me know in the comments down below! I’d love to help you out!